What an amazing feeling it is to wrap up yet another series of aircraft illustrations! This E175-E2 was the last member of the Embraer E-Jet E2 family of aircraft that I had yet to draw, and I’ve got a hugely satisfying grin on my face as I write this post for it. I think I’ve mentioned it before, but I hate having unfinished projects on my plate and I can never feel totally relaxed until I’ve crossed everything off my to-do list. Maybe that’s why I start twitching uncontrollably whenever someone asks me about how my 747 classic template series is going? The other really satisfying thing about finishing these E175-E2 templates is the fact that I can now say that the 175 E-Jet series has evolved to a point where I don’t mind it so much anymore. You’ve already heard me complain about how oddly-proportioned the original E175 was (fat fuselage and puny engines), so to see what Embraer has done to the second generation is quite refreshing actually. It doesn’t look like a cartoon airplane anymore! How is the E175-E2 different than the original E175-E1? The fuselage length is extended by 0.6m, which allows for one more row of seating. 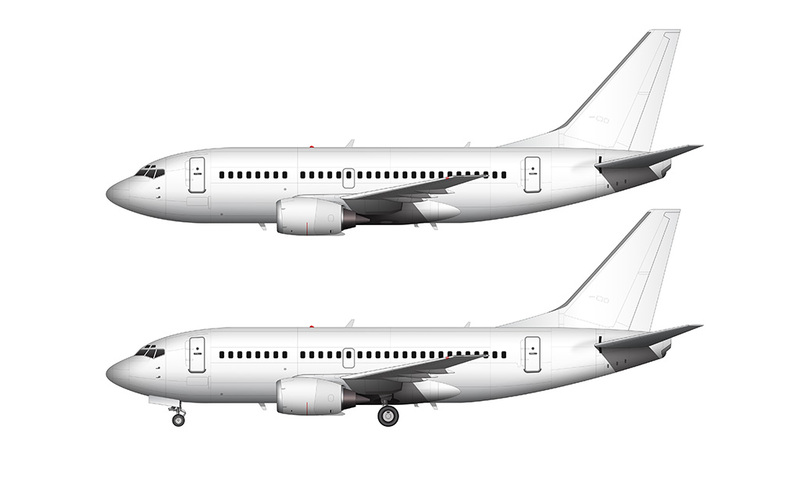 The wing is completely redesigned (it’s a shorter version of the E190-E2 wing, with much smaller blended winglets). Taller landing gear structure (very similar in design to the E190-E2). The new engines (Pratt & Whitney PW1000G) are much larger in diameter. Note that this is a downsized version of the same engine found on both the E190-E2 and E195-E2. 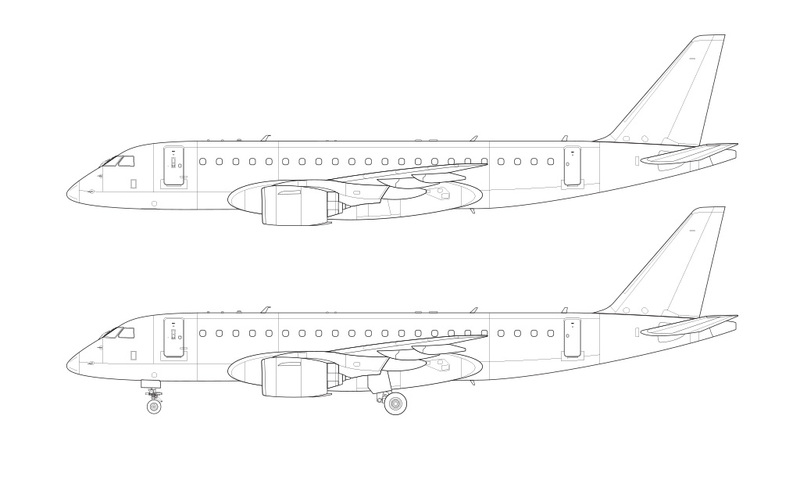 The vertical stabilizer is all new (though identical to the E190-E2 and E195-E2). The wing box is completely different, and moved forward on the fuselage. 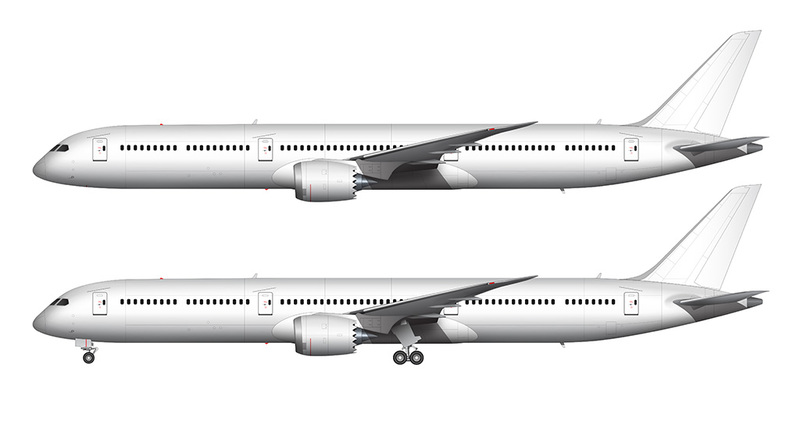 In unison, these visual changes are significant enough to make the E2 look like a completely different aircraft when put side by side against the original. And that’s a good thing! To me, the design is very similar to the Airbus A220 – especially with its pointy nose and big engines. Which, I guess is a good thing since the A220-100 is a direct competitor of the E175-E2. I’m also bit surprised at how much of a difference the 0.6m fuselage extension made. It actually doesn’t look stubby anymore, which I wouldn’t have expected with such a minor extension. I’m certainly not complaining though. Good riddance to the ugly duckling E175-E1! At the time of this writing (March 2019), we’re still two years away from the launch of the E175-E2. 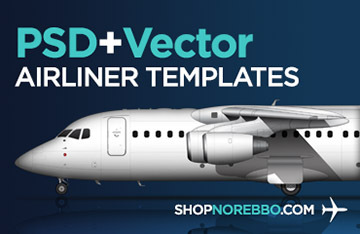 Just typing that gives me heartburn actually, because you should all know by now how much I hate creating official Norebbo aircraft templates of an aircraft that hasn’t even been built yet. But whatever. This is an aircraft that is in huge demand, so I’m pushing forward and releasing it now as a v1.0 (I’ll make updates as Embraer refines the design). Anyway, an in-demand aircraft it is! Skywest has made a substantial order for 100 of these things (with purchase rights for an additional 100), which is going to keep Embraer busy for quite a while. This is the only order for the E175-E2 on the books at this moment, but it’s a big one. Now the the E2 family is complete, I feel like slacking even further the 747 classic series (it’s such a pain with the endless engine options). What’s the plan them? Taking care of something else I get a ton of requests for: Russian aircraft! Do the Tupolev Tu-144 or Tu-154!!!! What about finishing the previous E-series? 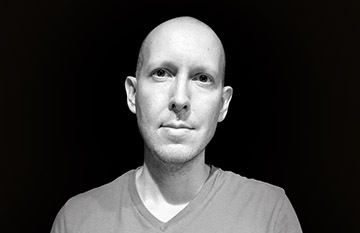 The 170 and 195 are still missing. I think it’s gonna be the Tu-154. It has the most votes so far! Yes, I do need to finish those. I haven’t received many requests for those however, so it’s a bit lower on my priority list. Another vote for the Tu-154 – thanks! I think the IL-86/96 would be a interesting airliner, as it was in production Soviet and post-Soviet (I think). That was actually the one I was thinking of when I decided to do a Russian airliner. Lol – but, based on the votes, it looks like the Tu-154 is going to be first! when will you do the Dash 7!!!! Yeah, I’ve been meaning to do that (for far too long now…haha). It’s a bit lower priority for me, but it’s on the list!